I got the chance to chat with Meterologist and storm chaser Cory Reppenhagen from 7News (Denver). He knows how much I love riding, and I wanted to share his information with you, so he kindly sent over this forecast! I hope it gets you excited as it gets me! La Niña is coming. That doesn’t mean winter is not. It just means there will be a shift in temperature and precipitation, for many parts of the United States. 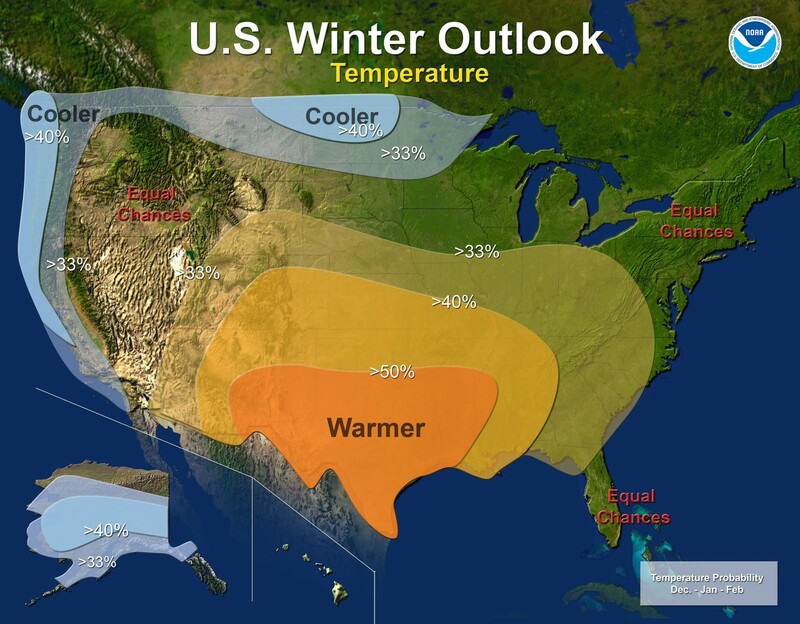 Winter of 2016-17 will likely be controlled by La Niña. The Climate Prediction Center says there is a 55 to 60 percent chance of La Niña developing sometime between September and October, and lasting through the winter. In June, we transitioned into a neutral phase, after tying the record over the winter, for the strongest El Niño ever recorded. The switch to La Niña could make this winter look very different from the last. The typical La Niña setup features high pressure more often in the Gulf of Alaska, and it is marked by the probable return of the Polar Jet Stream to the lower 48. Plan your trip to Montana now! 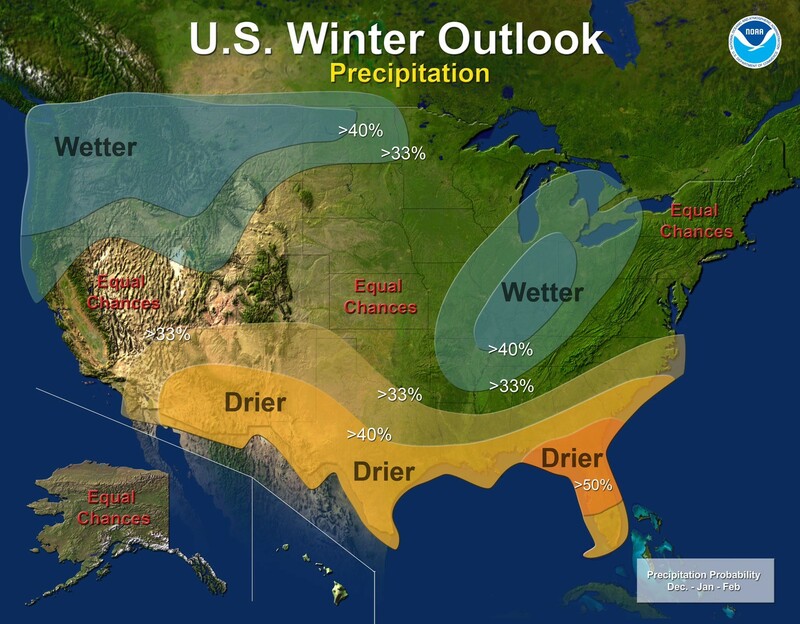 The next two graphs are NOAA’s temperature and precipitation outlook for the U.S. in December, January, and February. Warmer conditions are likely for Colorado, Utah, New Mexico, Arizona, and part of Wyoming. Cooler than average conditions are favored in parts of California, Oregon, Washington, Montana, North Dakota, and Minnesota. This is an overall, 3 month average. The return of the Polar Jet Stream will likely mean much colder storms in Rockies and High Plains than we had during last years El Niño, but it also means those areas will likely spend more time under a high pressure ridge. So overall warmer temps on average, despite colder storms. Wetter than average conditions are likely in the Pacific Northwest, Northern California, Idaho, Montana, North Dakota, and parts of Wyoming, and Utah. Wetter conditions are also favored in parts of the Great Lakes, and Midwest regions. Drier conditions are likely in Arizona, and New Mexico. While parts Utah, Colorado, and the Sierra’s have equal chances to get either above or below average precipitation. Also note the equal chances in the northeast. They will like the chances of even having average precipitation after a dismal 2015-16, which they can’t sooner forget. 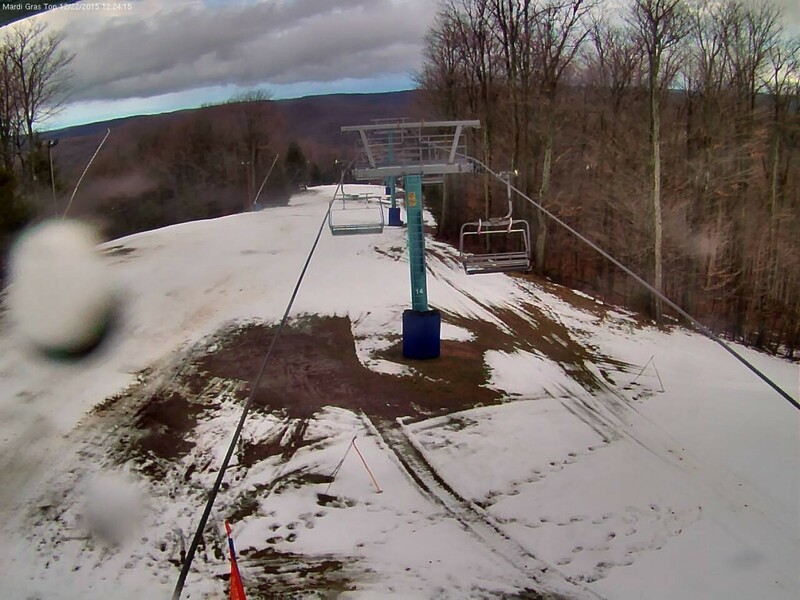 December 22 last year, was the latest opening for Holiday Valley in 20 years. There could be a stark contrast between snowfall in the Colorado Rocky Mountains, as compared to the population center of Colorado, along the I-25 corridor. 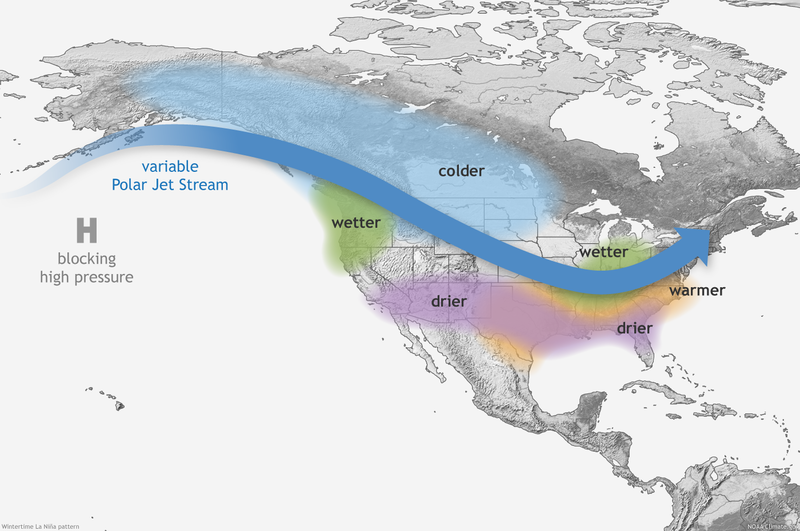 The most common jet stream pattern during a La Niña, favors a northwest flow in Colorado. This can mean decent snowfall for the mountains at times, but it’s generally a dry flow on the lee side of the mountains. Without any up-slope winds to counter that flow, the air sinks and dries as it comes over the mountains. The following statistics supports these conditions. 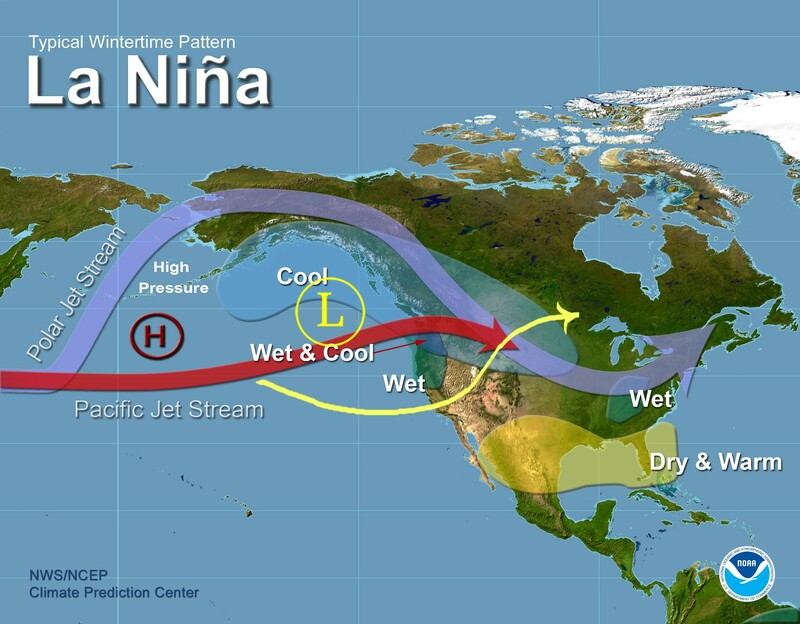 The last 16 documented La Niña’s, and 2 partial La Niña’s are shown below. 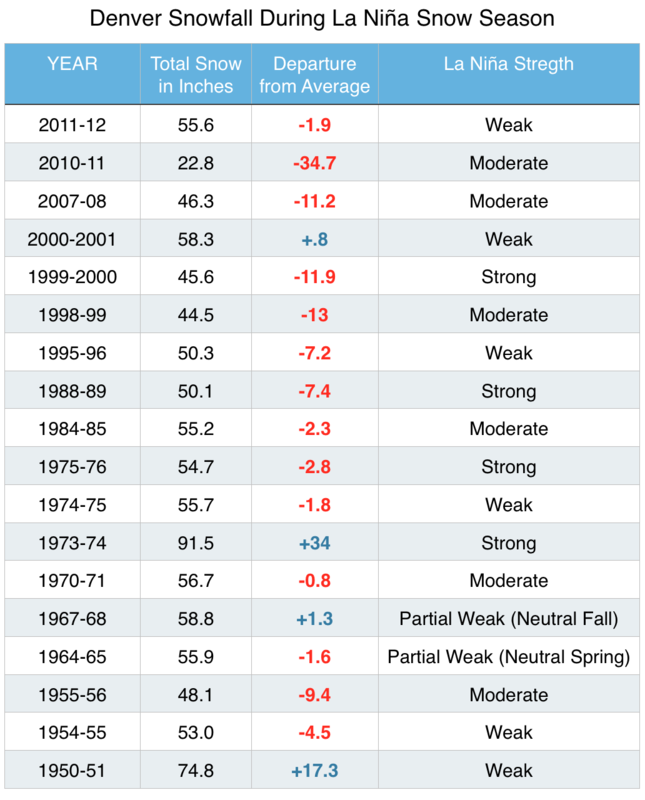 14 out 18 of those season’s resulted in below average snowfall for Denver. These statistics and winter outlooks paint a fairly grim picture for snow hounds in the bulk of the Rocky Mountains, but there is actually hope. These graphs represent the climate on average, over the course of several months. They do not show the strength of individual storms, that last only a few days. Two La Niña years did yield well above average snow (’73-’74, ’50-’51), and there have been big single storm snow events as well. There will still be snowstorms, and cold spells as usual. 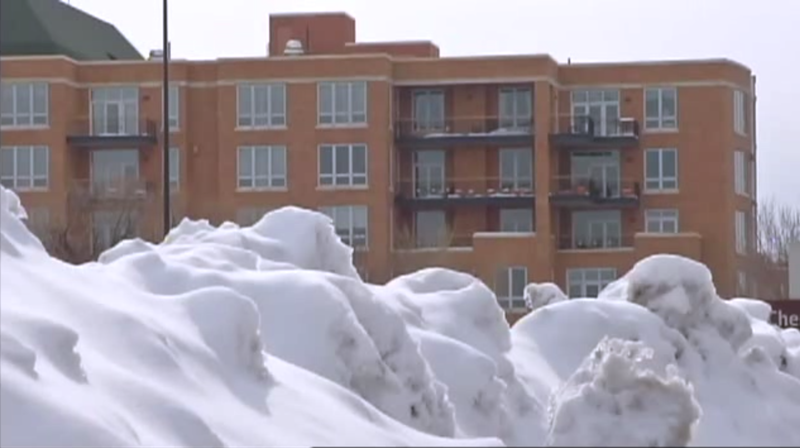 The last La Niña winter in Denver, produced a huge snowstorm of 15.9 inches in February of 2012. Let’s examine the components of a typical La Niña setup, and look at examples of storm tracks to watch for over the winter, that deviate from the La Niña. The jet steam patterns that deviate, are highlighted with yellow arrows in the last three graphics. La Niña is the name given to the abnormal cooling of the equatorial Pacific Ocean. The ENSO (El Niño-Southern Oscillation) is not the only thing that affects weather in the U.S., but it is a major player. The shift in oceanic oscillations represents a switch in atmospheric circulations, and the Jet Stream is the key. One noticeable feature in the typical La Niña setup, is high pressure near the Gulf of Alaska. During the El Niño last year, there was mostly low pressure there. This high will be a jet stream blocker. It causes the Polar Jet to loop around it to the north, while the Pacific, or Subtropical Jet becomes quite variable. Usually this track guides storms and cold air just east of the Rockies. Another setup possible, is the Polar Vortex. This is really just a media derived term to describe a deep trough in the eastern part of the United States. This could play out a few times this season. It allows very cold air, and snowstorms to penetrate the Great Lakes region, the Ohio Valley, the Northeast, and even the Deep South. The yellow arrow shows the deep trough. In this scenario, the Rocky Mountains get scraped by cold and snow, but the bulk of it doesn’t organize until it is just past the High Plains. The Pineapple Express setup is a direct assault by the jet stream from the east Pacific. This would require the development of low pressure in the Gulf of Alaska, and sometimes carries moisture from the ocean directly across the mountains. We saw this pattern set up a few times during last years El Niño, but there is also a slight chance of one of these scenarios during La Niña. The Four-Corners Low is something we saw often during last years El Niño. It is an early dip in the jet stream over the Pacific coast. 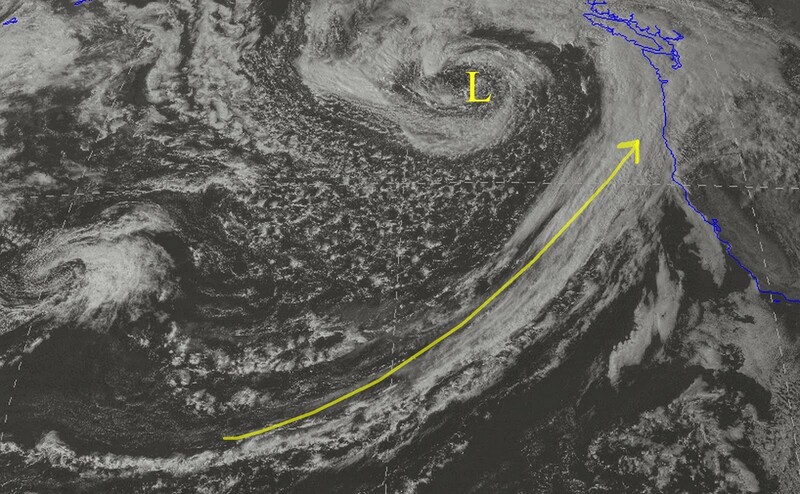 This southern storm track allows the low to organize quickly and bring a storm to the western states. It’s called a Four-Corners Low because of the location it organizes, near the Utah-Arizona-Colorado-New Mexico boarder. This type of system is particularly potent for Colorado because it delivers strong upslope winds from the southeast, directed into the Rocky Mountains. There will be an opportunity for a few of these scenarios this winter, but they are nowhere near as common as they are during El Niño years. Even and ‘Average’ snow season in Colorado, Wyoming, and Utah, is a good season. Hope you enjoyed El Niño in Arizona, and New Mexico. Could be a slow winter there. Giggle when the media says ‘Polar Vortex’. Pretend like your surprised when it’s -8 in Denver for 2 days, but monthly temps are above average. 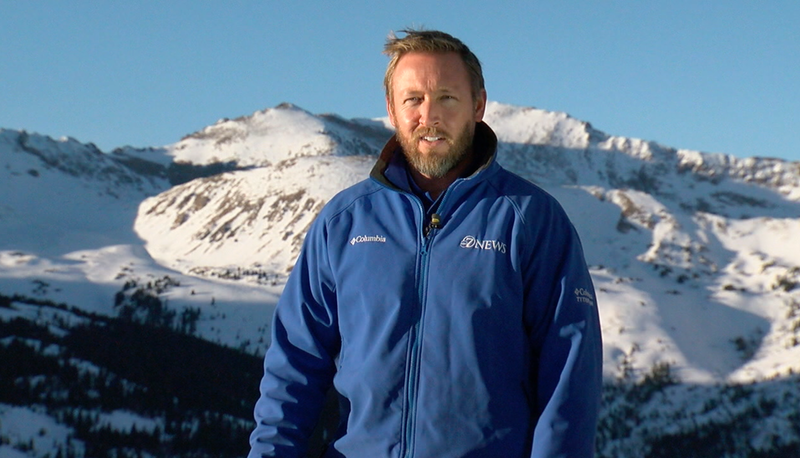 Cory Reppenhagen is a Meteorologist and Storm Chaser with Denver7 First Alert Weather. He received his B.S. in Geosciences from Mississippi State University. During his 21 year stint in local television, he has won three regional Emmy awards, including one for his coverage of the April 2011 tornado outbreak in Alabama. He has also as covered 20 tropical systems, and flew a hurricane hunter aircraft into the eye of the strongest hurricane ever recorded in the Atlantic Basin (Wilma Oct 2005). His hobbies are photographing severe weather and hiking, and his winter sport of choice is snowboarding.